The birthday girl went to school with birthday Popsicle treats to share with her class. More surprises were in store once she got home! My kids know birthday's means ice cream... not like we don't eat that like every week but either way if someone is celebrating their birthday hands down we are eating ice cream. 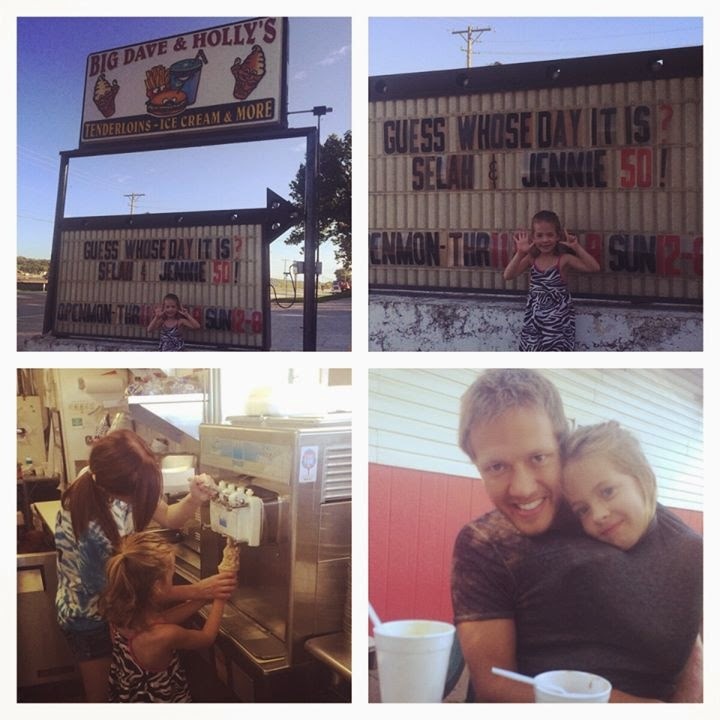 What my daughter did not know what that our local, family owned ice cream place would have her name on their sign! Not only was her name on the sign but she got to make her own ice cream cone! 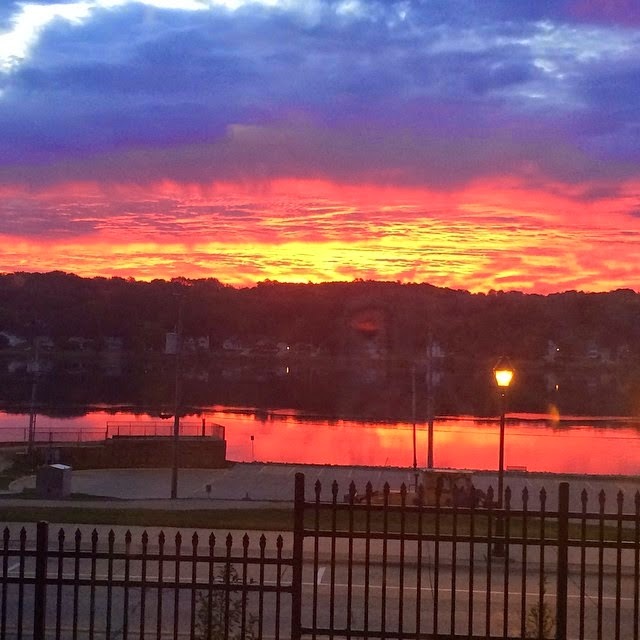 Small town perks are really awesome! You are precious in God's eyes but also in dad and I's eyes. You have a huge God calling on your life and your dad and I are constantly praying for God to help us call our all the glory and goodness that he has already given and gifted you with. You are an ambassador of Christ and I will always remind you of that! You are a doer of the Word and blessed in your actions. James 1:22, 25 I am amazed at how fast you are growing up! If there is one thing I want you to know at 7 years old is... 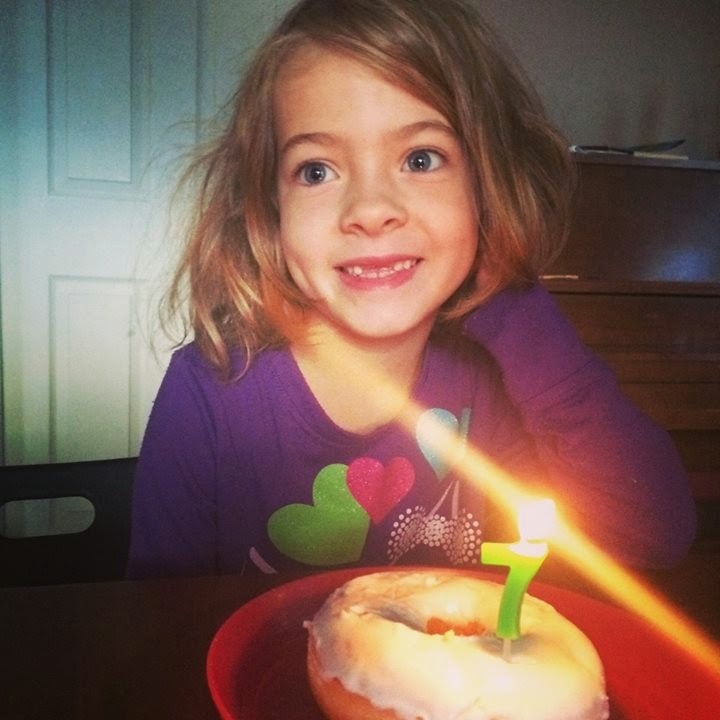 Enjoy being 7! Mom and dad are always trying to protect you and allow you to have a fun and stress free childhood. Play, imagine, run, jump, create- you my daughter my sweet 7 year old daughter stay young, stay sweet, and be you!